It’s Friday! 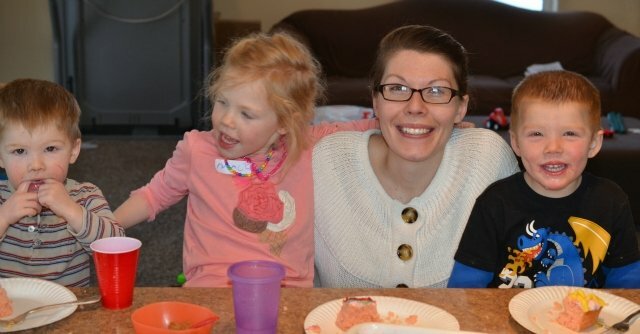 Now, that doesn’t mean a whole lot to me as a stay-at-home-mom, but just the word sounds like fun and a change of pace doesn’t it? That word will forever have a positive connotation to me. Who doesn’t love a Friday, mom or not? I read an article this week about ways to improve your blogging, and one of the things it said was to find someone/blog that you love and study them. Decide what and why you like them so much and try your best to do your own version of those things. As soon as I read it I realized that is something that I’ve been doing without really thinking about. And who is the person and blog that I’ve been going to over and over again getting ideas from, learning through, and just loving in general? It’s no other than Cassie from Wholefully. I initially found Wholefully through one of her recipes on Foodgawker, and I stuck around and subscribed to her feed when I read that she was living in Indiana. I haven’t found many Hoosier bloggers yet, and any Indiana lover is a friend of mine. I found myself getting excited anytime Cassie posted. 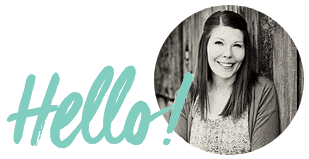 She blogs about healthy recipes, healthy/weight loss/exercise, and a million other fun things. Plus, her and her husband do a whole separate blog (The Broken Plow) about starting a new rural life in Cassie’s childhood home in Southern Indiana. They garden, fix things up, dream of bee keeping… when you smoosh the two blogs together I’d say we have a ton in common. What Cassie does best is keep it real. 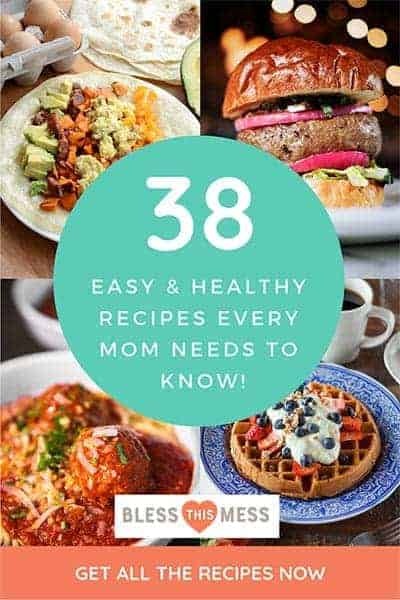 Her photos are awesome, her recipes top-notch, and her writing style is so fun to read, but when it comes down to it you just want to be her friend because she’s honest, in a good way. That my friends, has always been a goal of mine in blogging, to keep things real and to be friend. In an effort to do just that I’m stealing one of Cassie’s ideas. She does posts occasionally that she titles “Confessions” and then lets you in on little fun secrets and random facts that aren’t typical food blog fodder. They are some of my very favorite posts of hers. I wanted to do my own version, but the thing is, there’s just no better word for the post then “confessions”. Plus, it’s a term I use a lot in real life. I’ll start many a sentence with “Confession, I just…” nothing big and hairy, normally just random and fun. Confessions it is. So with no further delay, I bring you my very first confession post. 1. My Birthday was a few weeks ago and I didn’t even mention it to you… I’ve never been the kind of person to tell people it’s my birthday, blog included. 2. I get totally a little envious when other bloggers get mail from companies and all the free product to use. How do they do that? (Really, how!?) I’ll settle with packages from my mother-in-law for now though. 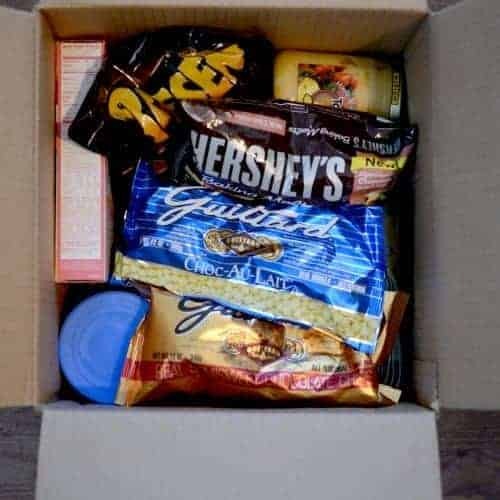 She’s the best package-sender I’ve ever met, knows what I like, and owns a grocery store (which isn’t a bad things when it comes to package sending!). 3. Not everything I make turns out great. 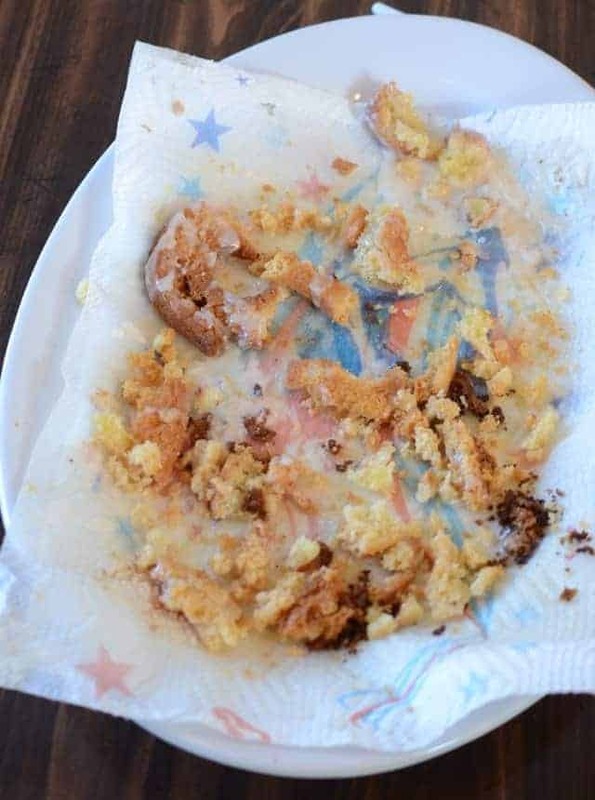 I tried making some old-fashioned donuts and they completely disintegrated when they hit the hot oil to fry. No worries, my family ate the scraps all the same. I still have no idea what went wrong though. 4. 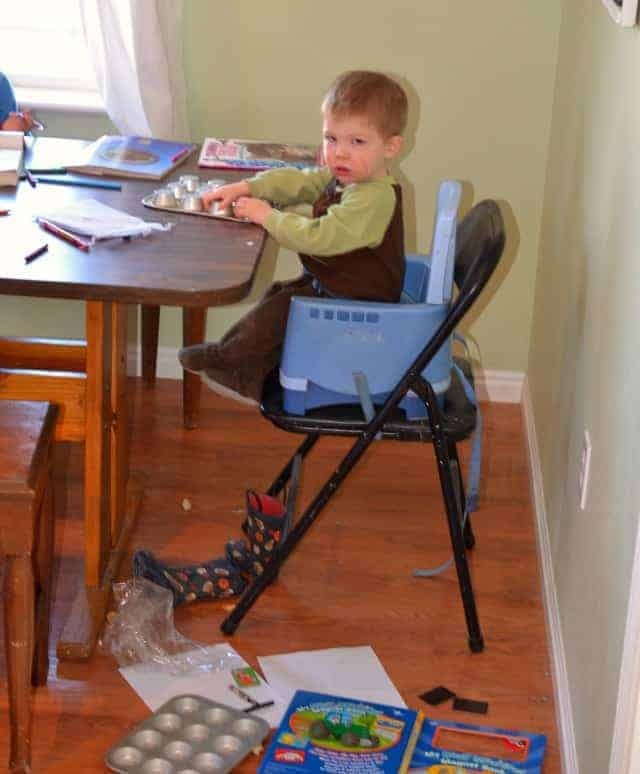 Sometimes I buckle the baby into his highchair so that I can shlog (slow+jog=shlog) on the treadmill in the mornings. I load him up with toys, odd pans, and snacks and then get on the treadmill while the other kids craft at the table with him. In my own defense – I’m 12 feet away on said treadmill, Dad is home too, and he doesn’t mind it. And if he starts to fuss I pay my oldest a quarter to read him a book until my twenty-minute stint is over. 5. Lil Luna isn’t the only blog that I applied to be a contributor for and got! Another fun announcement should be coming your way this weekend. There you have it, my first confessions. Do you have any confessions of your own? Is this something you’d like to see more of, or should I stick with my typical posts? Awww! You are the sweetest thing on the planet. Thank you for all the niceness. 🙂 Oh! And how do I get companies to send me free stuff? I, uh, asked. 😛 At first, I just figured out which companies were offering free stuff to bloggers, sent them an email and said, “Hey, what about me? Can I get free stuff too? And what about a giveaway?” No one ever said no. Eventually, I didn’t have to ask anymore. I love me a confession. Way to go with the treadmill!!! And strapping the kid in, Brilliant and nothing to be confessed about there. And Happy Late Birthday again!!!!! Keep it up! 🙂 I love that you pay your oldest a quarter to read him a book! Awesome idea! A fit mom can take better care of her family! So, you go girl! I just barely came accross your blog and am now a follower…you can check mine out if you’d like. I’ll have to try the free stuff tip from Cassie! I totally checked out your site and those taquitos looks amazing. I didn’t notice any way to leave a comment though… is that turned off on your blog? Hmmm, I’m glad you said something. I kept getting spam comments and so I changed the settings, I think the comments got turned off. I’ll fix that asap! Thanks! I love these kinds of posts!!! Aw, love it! I am the same with my birthday! Mine was a couple weeks ago and I didn’t tell anyone either. I just feel weird and awkward about it. I am kind of a weird cookie though. So glad you guest posted with Lil Luna, I love reading your blog!